DANVILLE, Ind. 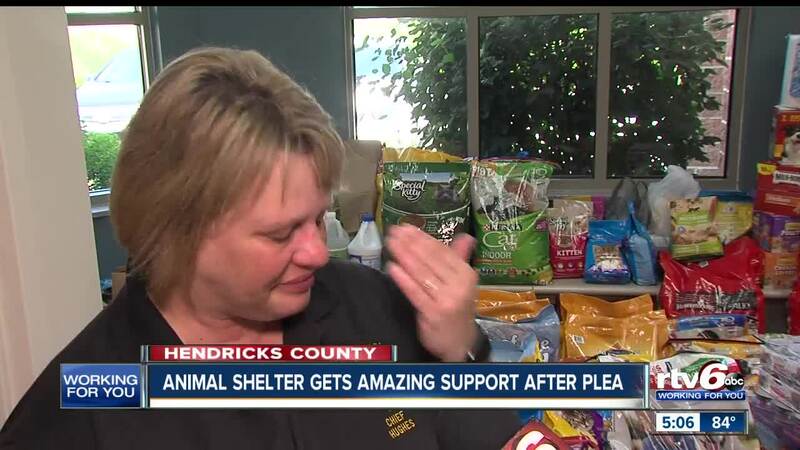 -- After the Hendricks County Animal Shelter issued a second urgent plea for dog and cat food they say the community stepped up in a big way. The shelter says it posted a plea to Facebook more than two weeks ago, on July 24, asking for dry and canned kitten food. Unfortunately, no donations were received from that request. 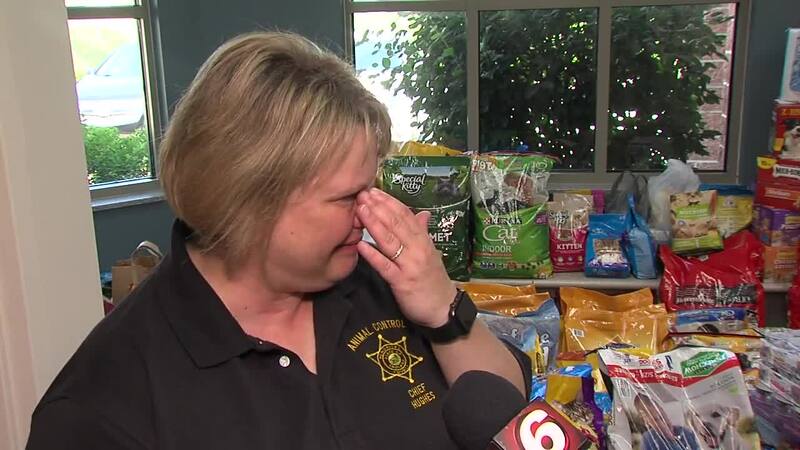 But a second plea went out this week that was picked up on social media, Animal Control Chief LaDonna Hughes said they have had an outpouring of donations. "The community has not let us down, by any means at all," said Hughes. "It just keeps coming in and it's heartwarming." According to the shelter's website , they are currently housing more than 50 cats. "We're seeing an influx of animals right now and I know everybody else is full," said Hughes. "It's the overabundance of animals and they are staying a little longer... it just got away from us." If you can't physically make a donation, the shelter says you can make a donation on the Hendricks County Friends of the Shelter Facebook page. Donations can be made through the 'donate' button. You can also ship items from Amazon to the shelter. The Hendricks County Animal Shelter is located at 250 E. Campus Drive in Danville. It is open Monday, Tuesday, Wednesday, and Friday from 10 a.m. to 4 p.m., Thursday from 12 p.m. to 6 p.m., and Saturday from 9 a.m. to 1 p.m. The shelter is closed on Sunday.